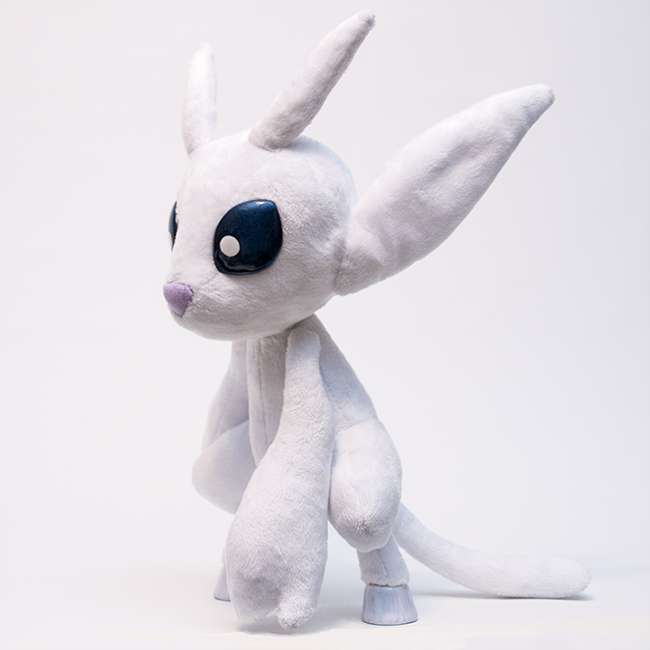 A detailed and adorable plushie Ori, the leading protagonist from Ori and the Blind Forest. 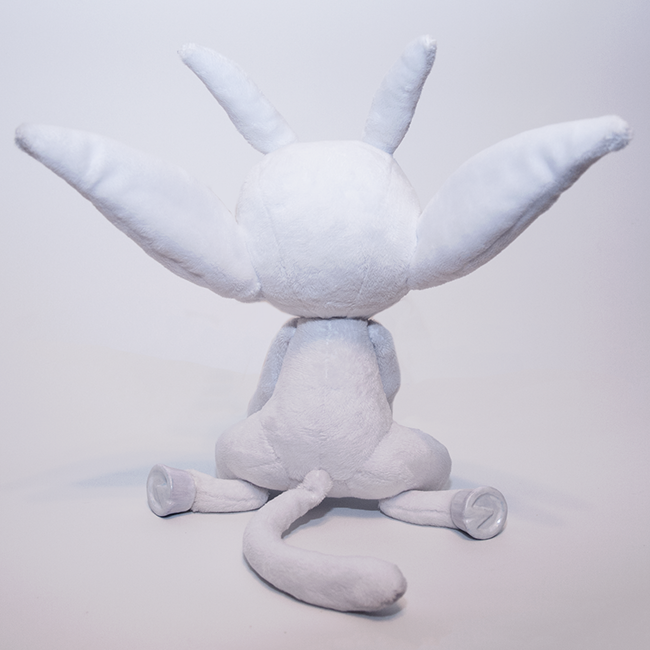 Made with minky for a soft and cuddly touch, with accents of faux suede for the nose. 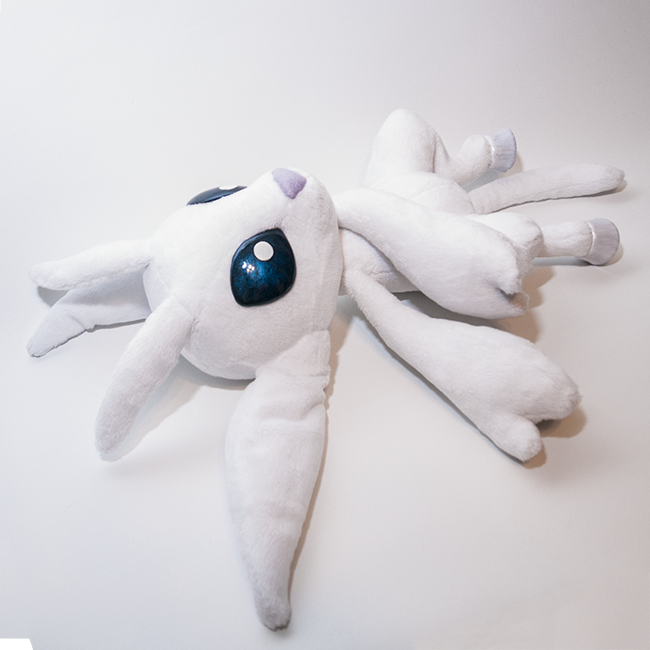 The eyes and hooves are hand sculpted from plastic, and hand painted, with a clear and glossy top coat for protection and realism. 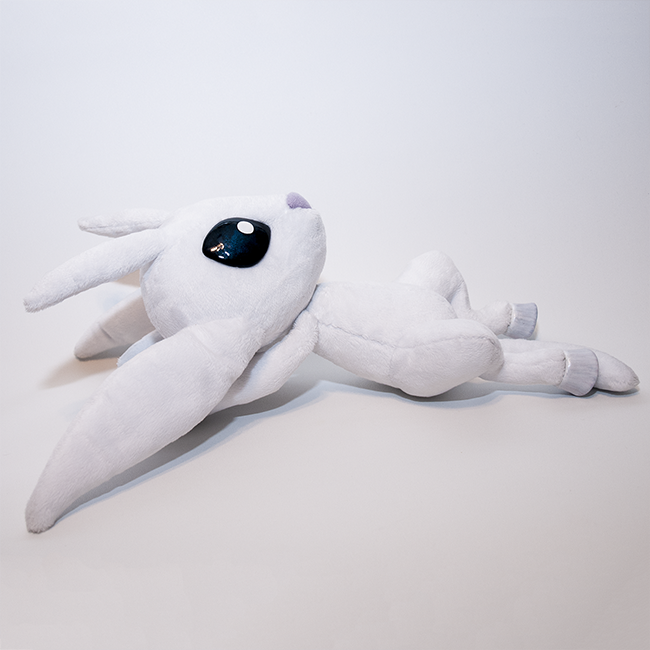 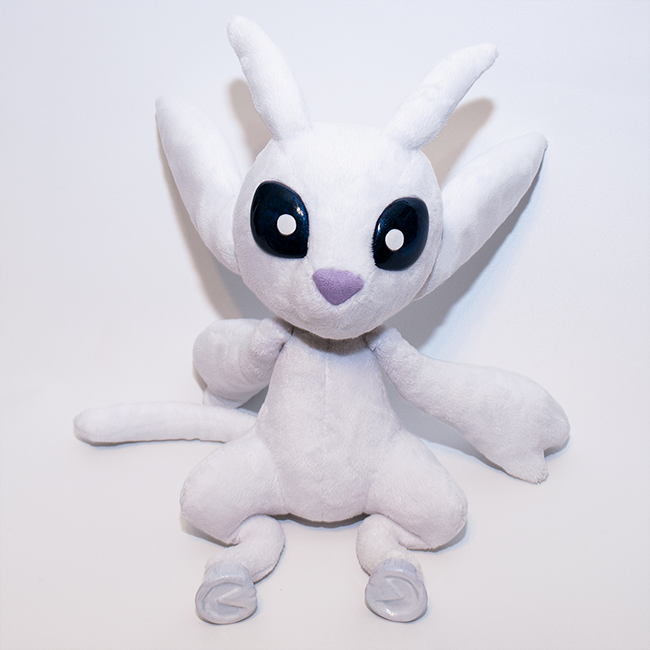 Ori is filled with super soft stuffing and some plastic pellets for extra weight and movement. 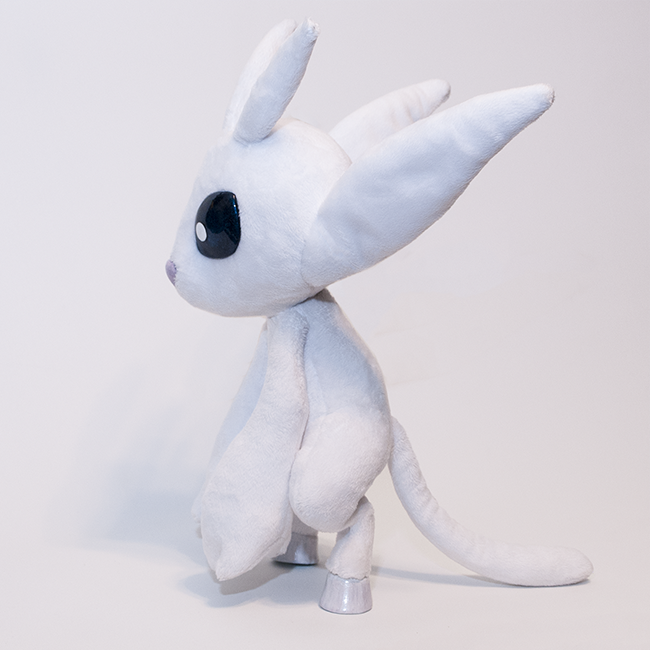 Please note that Ori does not have any armature, and his limbs are floppy, so he cannot stand on his own. 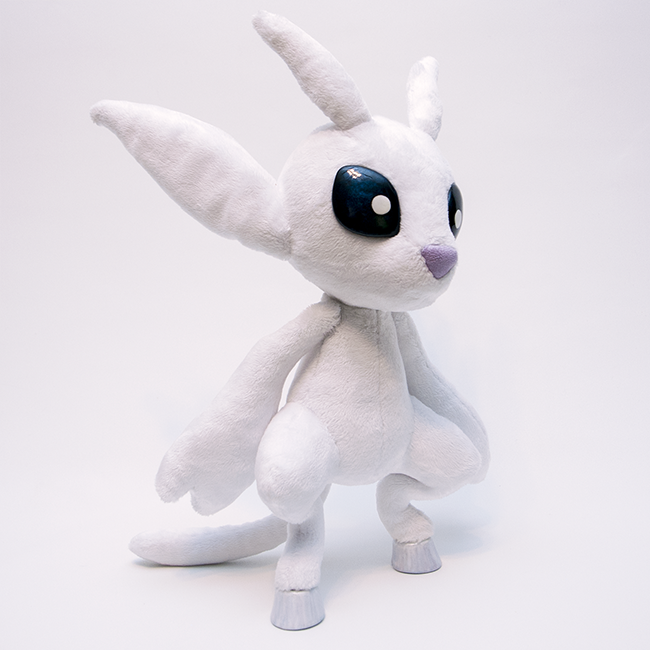 If you would prefer an armatured version I may be able to make one upon request. 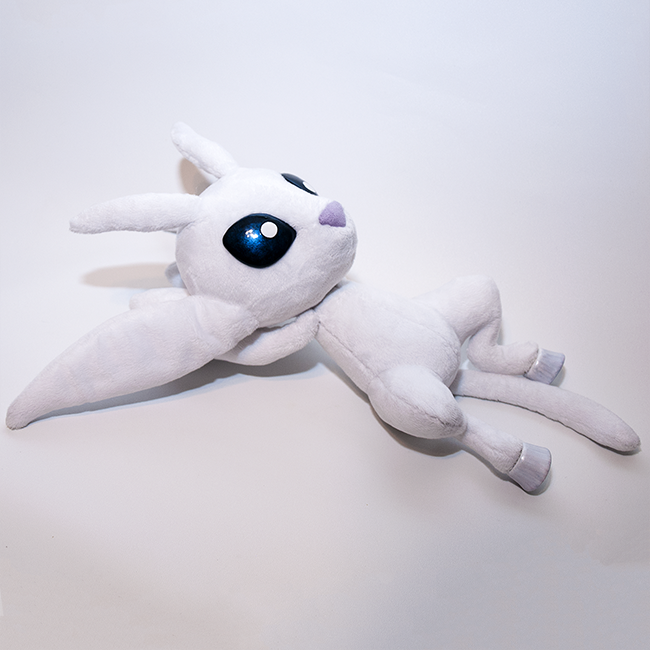 I can also make his hooves from fabric instead of plastic for a more cuddly design.